Are you considering a move? If so, there may be various options open to you. Should you try and buy? Would you rather rent? Or is there a possibility of moving in with friends or family while you try and save money? Most of us have designs on owning our own home one day. Buying a house gives you the freedom to create your ideal home, and bricks and mortar also represent a financial investment, which will hopefully grow with time. Buying a house isn’t easy, and the process can be time-consuming and stressful. Nevertheless, there’s nothing quite like the feeling of holding those keys in your hand. Once you’re on the property ladder, there’s also scope to climb up it. If you decide to move on in the future, the value of your current property can be used to give you leverage when you buy your new home. If you want to buy a house, you’ll need to put down a deposit, and this is where many people encounter difficulties. It can be hard to save, and this is why many people, especially young people, are moving back home or sharing houses with friends. If you’re splitting the bills or you’re living rent-free, you can put money aside each month, and eventually, you’ll have enough for a deposit on your own home. Is renting the best option for you? Most people dream of being a homeowner, but renting isn’t always such a terrible alternative. 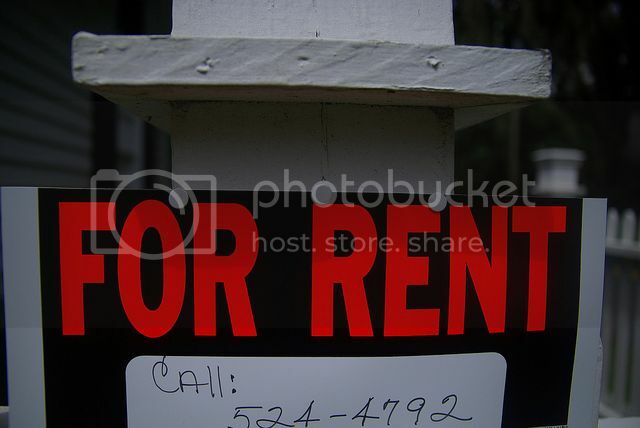 There are advantages to renting, especially if you’re not ready to put down roots. When you rent a property, you don’t have the same responsibilities as a homeowner. You may not have free reign when it comes to the decor, but you also won’t have to worry if the water heater is on the blink or the washing machine suddenly breaks. If you’re thinking about moving into a rental property, do some research online, and see what’s available in your desired area. Set a budget, and don’t forget to factor in additional costs, such as energy bills, on top of your rental fee. You may need to put down a deposit and pay a month’s rent up-front when you sign your contract. If you do rent, it’s worth taking out separate contents insurance and having a look at options like progressive rental insurance. Your landlord is likely to have insurance for the actual building, but you need to make sure your possessions are protected too. Always make sure you check the details of the contract thoroughly before you sign on the dotted line. Are you looking to move? Are you keen to buy or are you not sure whether it would be better to rent? There are pros and cons to every option, and some are much better suited to some people than others. Consider your own circumstances, get your finances in order, and have a look at what you could afford. Have a look around some properties, and gather as much information as possible before you make a decision. Thanks for your thoughts, they are most useful! Moving is a very stressful process, and reading some advice from people who have more experience in the matter always helps. Buying a house is always the preferred option, especially in young couples and families, because every young person dreams of a place they can call their own. But for many the reality is quite harsh and their finances push them to renting and leasing options. They have their financial benefits, but if you rent, you are not protected from potential eviction or disputes with your landlord.